Tell your home exchange story! Discover home exchange with stories from our members. This story of a home exchange to Plymouth, Massachusetts was shared with us by an anonymous member. 1. Where did you go on your home exchange? I went to Plymouth, Massachusetts. It's right along the East Coast in Cape Cod. 2. What was it that attracted you to this exchange opportunity? It was close to everything, rich in history and there was a lot to do. It was a short ride on the train or in the car to Boston. It was also easy to go to New York from where we were staying. And we even got to explore some of New England. My host picked me up, this is when I met them. We had a great conversation before the exchange so I knew things would go very well. 4. What did you see or do during your exchange? We explore a lot of New England. We saw Boston, Newport (Rhode Island) and explored Plymouth, Massachusetts. It was lovely, we saw a lot of history and did a lot. 5. What is the favorite memory from your exchange? How wonderful my exchange partners were to me. I will never forget that. 6. How would you describe home exchange to your family and friends? HomeExchange is much better than a traditional rental or hotel because your hosts are so incredibly kind. Plus the local knowledge they share with you is gold. Read about a member's recent trip to Scotland to discover the rugged coastlines, scotch distilleries, and local castles. Discover home exchange through the stories of our members. Learn about home exchange from experienced HomeExchange members. Sandra shares with us her experience of her 9th home exchange in the Netherlands to show her sons where she grew up. Discover home exchange through the stories of our members. 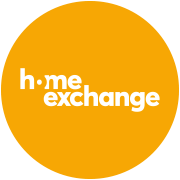 Learn about home exchange from experienced HomeExchange members.